The construction of the 30 feet bore-dugwell is just completed. This site # PW160PTA3 is in Patua village of Swarupnagar block of the North 24 Parganas district. Soab Mondol donated the site for the community. to remove the bad orgnice smell treated with lime. people are not using because organic smell. people are not drinking due to mrganic smell and turbid. Health meeting held in this bi tech well.total pe ple 9.male 7.female 2.people used other work due to organic smell. 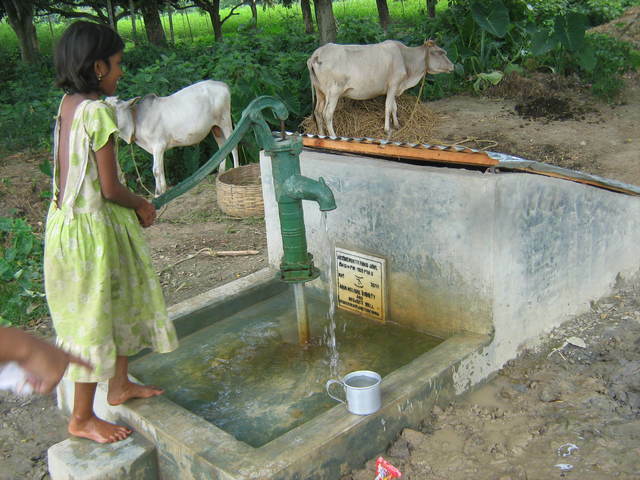 this well is used by 8 families,32 people,water 15 ft,theoline give 200 ml,good water used for drinking and cooking. 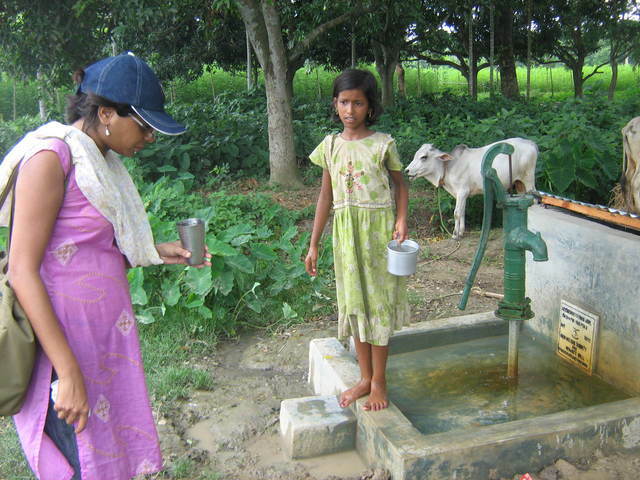 This well is used by 7 families. 28 people.water 17 ft.theoline 400 ml people used drinking and cooking. According to July's status report 9 families were using the water. Now with incessant rainfall in August 2011 and the flood condition people are obtaining water from elsewhere. Visit By Dennis Baroi & Biswajit Karmakar. The height of water column is 22 ft. Due to the presence of high iron people are not using the water. Awareness meeting is needed to explain to introduce mawtka filter in this area. Update: Received the pictures. The construction is just completed. Due to power failure in the village pictures from the cyber shop could not be sent and will be available tomorrow. The arsenic test and application of the disinfectant are due. The community will be trained to apply the disinfectant and field workers will visit the bore-dugwell for two years or until the user community feels confident to take the responsibility of the bore-dugwell. According to the register record of July 2011 the total consumers=38; Families=10; Male=15, Female=23, children <5 = 1 and students =16. 9 families are using: Male=12, Female=16, children=6. \Old: No body is using this source yet.